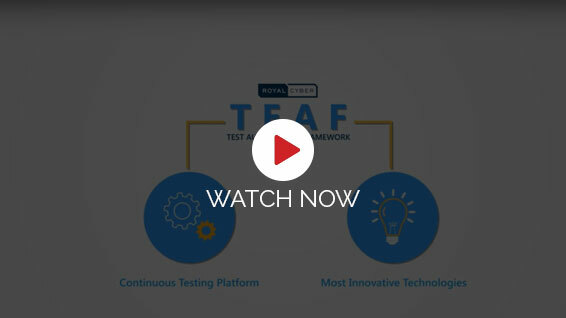 Testing frameworks are an essential part of any successful automated testing process. They can reduce maintenance costs and testing efforts and will provide a higher return on investment (ROI) for QA teams looking to optimize their agile processes. RC’s understands the requirement from the customer as User stories in JIRA and gathers information for the implement QA action in to it. RC’ian undergo feasibility analysis to automate those manual steps in the application ensure that possible scenarios are covered for the user story. Check-in the project to any source code management tool (Github / bitbucket) to make the team can clone and work on it. Create / import the manual test steps in test management tools to track the steps followed to perform interaction with the application. 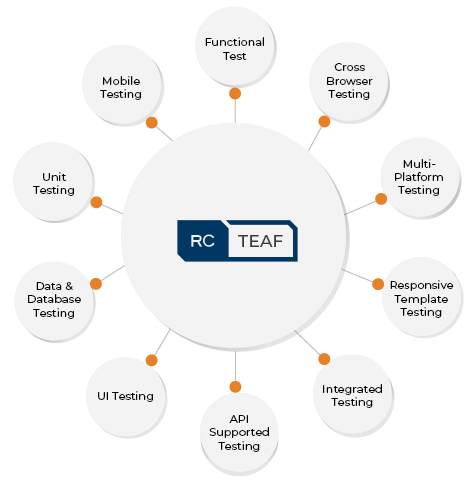 Automate the feasible manual steps with RC’s TEAF in IDE with actual validations and reports. CICD tool triggers build automatically for every check-in code to SCM tool, execute the run and generate the report stored as artifacts. also create bug for the failed test cases in JIRS. After every build, CICD tool update the execution status for the test cycle in test management tool and also create bug for the failed test cases in JIRS. Throughout time, humans have sought to amplify their potential through technology. We have always created tools that allow us to do more. As digital consumers, we have an unprecedented choice of products and services we have to face the future with limitless possibilities. LogiGear, a world leader in software testing solutions, is expanding its Partner Reseller Program by becoming strategic partners with Royal Cyber. LogiGear’s Partner Reseller Programs’ goal is to expand the reach of its services and solutions, including TestArchitect, its proprietary test automation platform. We live in a digital world and a mobile society. This has changed our lives completely, even more for retailers. One bad experience, online or on mobile devices, and retail customers are gone forever. Unlike other industry domains, the retail industry is exceptionally challenged with high operational overheads and lower profit margins. TEAF supports BDD which allows Business to grasp the test scenarios / scripts as it is plain English language. TEAF generate cucumber reports and also extent report with detailed information on test execution (against which platform / browser it tested with date and time) with screenshot and can also be emailed at the end of execution, which enables easy go/no go decision making. TEAF integrate along with all leading DevOps tools CI/CD servers & environments which automatically triggers the execution periodically, helps BU ensure the application is working seamlessly.